Meet Kami, My Poopin' Kitty toy! It's so much fun to take care of her like a real kitty. Push forward on her leash to take her for a walk. 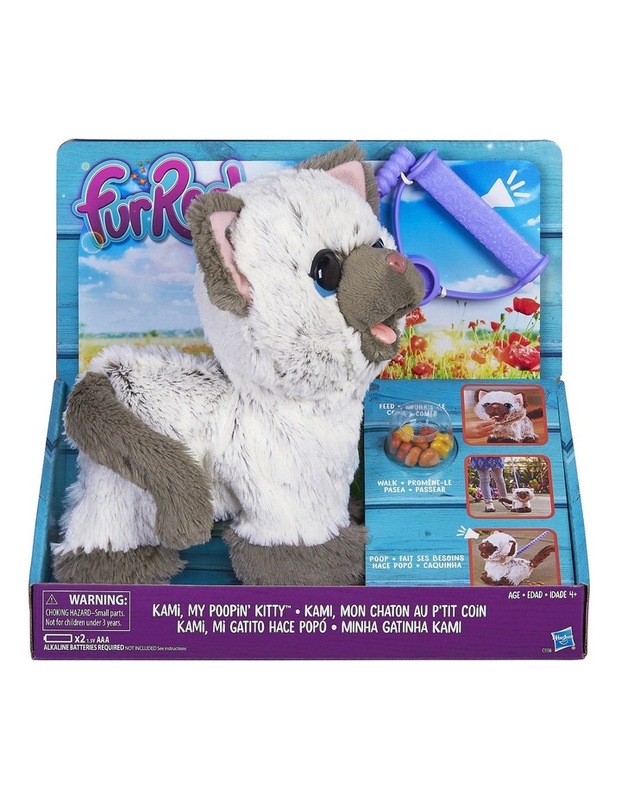 She can make happy kitty sounds when she's fed one of her treats then pull back on the leash to sit her down to make her ""go"", like a real kitty!